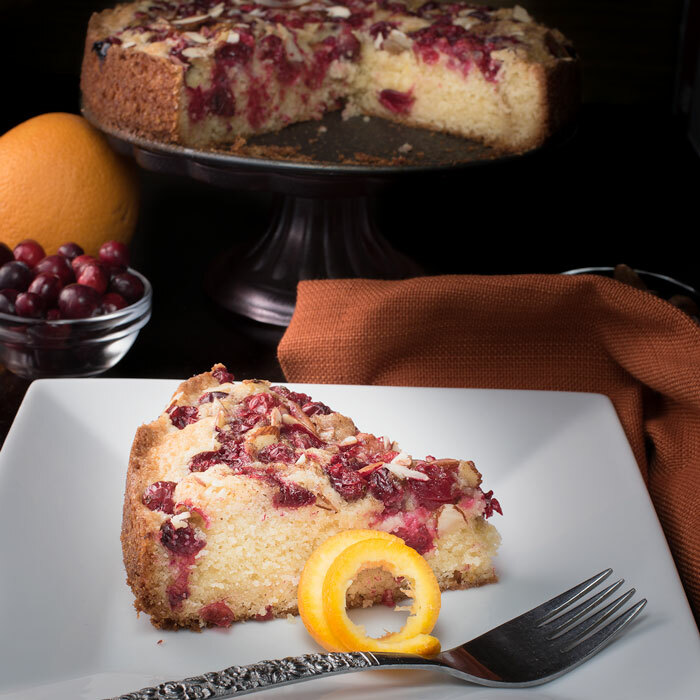 Today’s recipe is for cranberry orange almond torte. 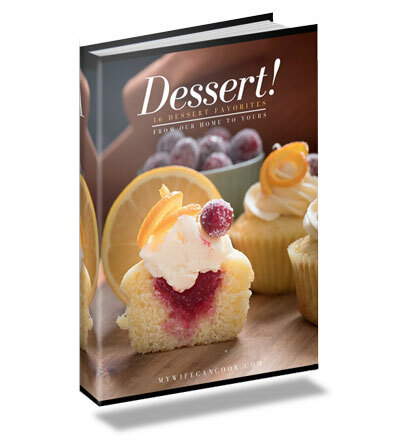 The vibrant cranberry and orange flavors really make it a great festive dessert for the holiday season. Read on for all the details. The original idea for this came from our plum torte recipe which originated from the NY Times plum torte recipe. Ever since making that we’ve been looking to make another torte with other flavors. 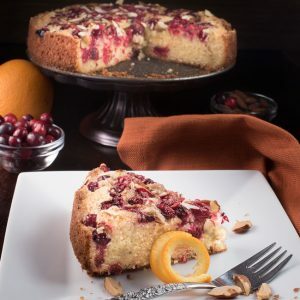 We love cranberry and orange together — check out our cranberry cupcakes with white chocolate buttercream — so we decided cranberry orange almond torte would be a recipe that would match well with the approaching holiday season. Our original plum torte recipe used all almond flour and is gluten-free. But when I first experimented with this recipe with cranberries I liked out it turned out with half almond flour half regular all purpose flour. 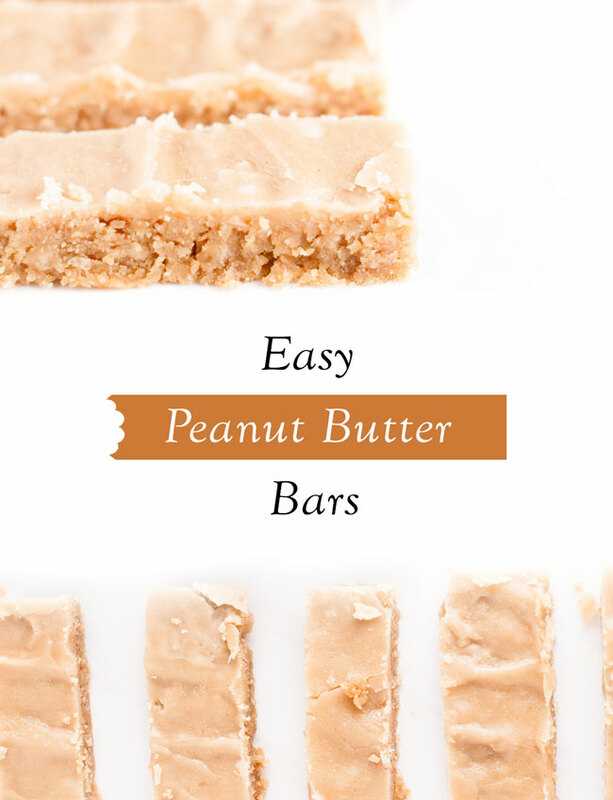 I think it would definitely be good with just almond flour, but a little denser and stickier. Almond flour is a little sweeter and denser than regular flour. It is frequently used as a gluten-free substitute for regular flour and it usually works well in cakes and most recipes, but not in things recipes using yeast like bread. I think it could work for this recipe so you’re welcome to experiment (especially if you want to make this a gluten-free recipe), but since we didn’t need this to be gluten-free we decided to split the difference and use half regular flour and half almond flour. The cranberries can be mixed into the cake if you want, but I liked the look of the cake better with the cranberries on top. 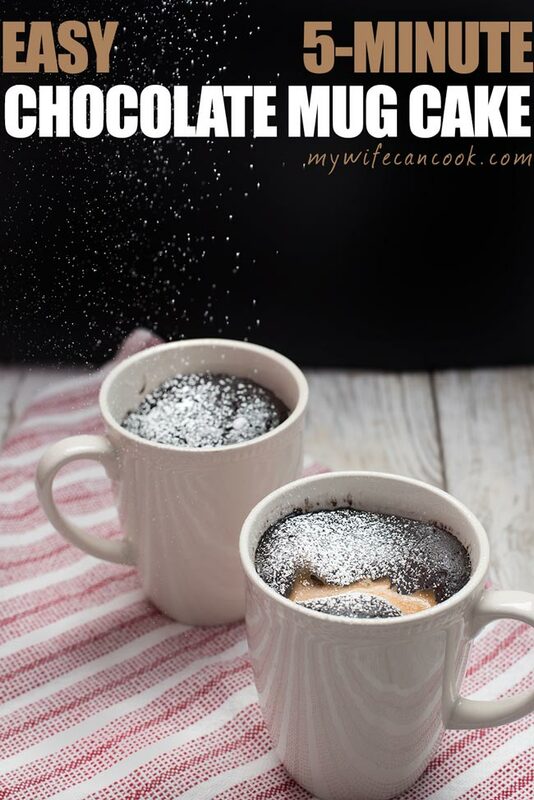 Plus, once they are drizzled with the fresh squeezed orange juice and sprinkled with cinnamon sugar, then baked, the top of this dessert is amazing. 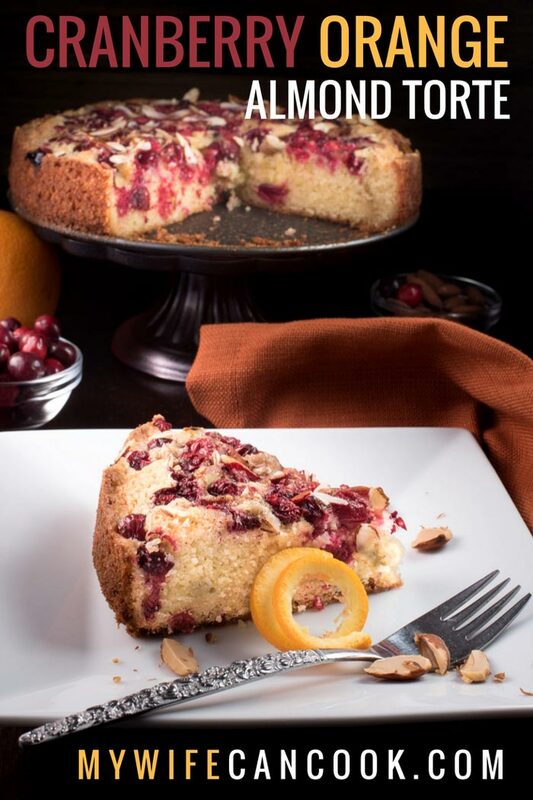 Consider adding this cranberry orange almond torte to your holiday dessert if it sounds like something you’d enjoy! 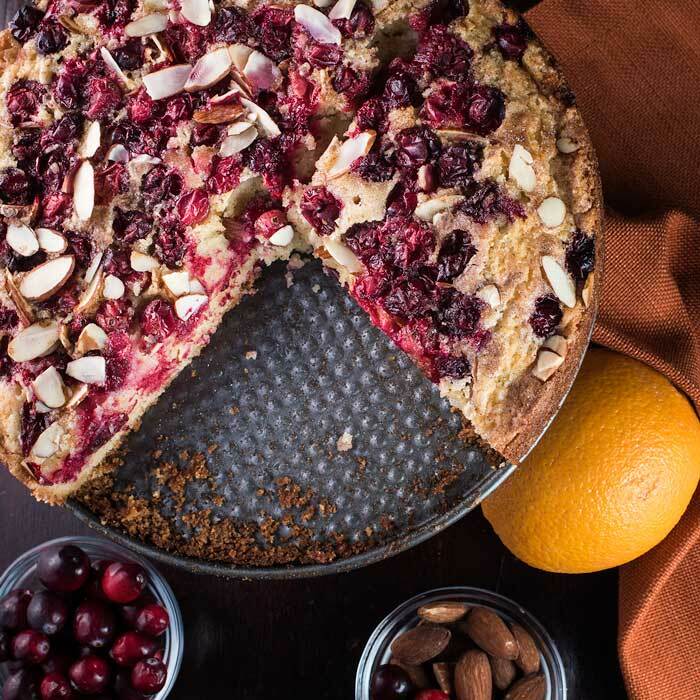 Cake with fresh cranberries, almonds, and orange zest/juice. Cream butter and sugar (not cinnamon sugar, just the 1 cup white sugar). Stir in baking powder, flour, almond flour, and salt. Spread batter into greased 8 inch springform pan. Pour cranberries over top and lightly press into batter. 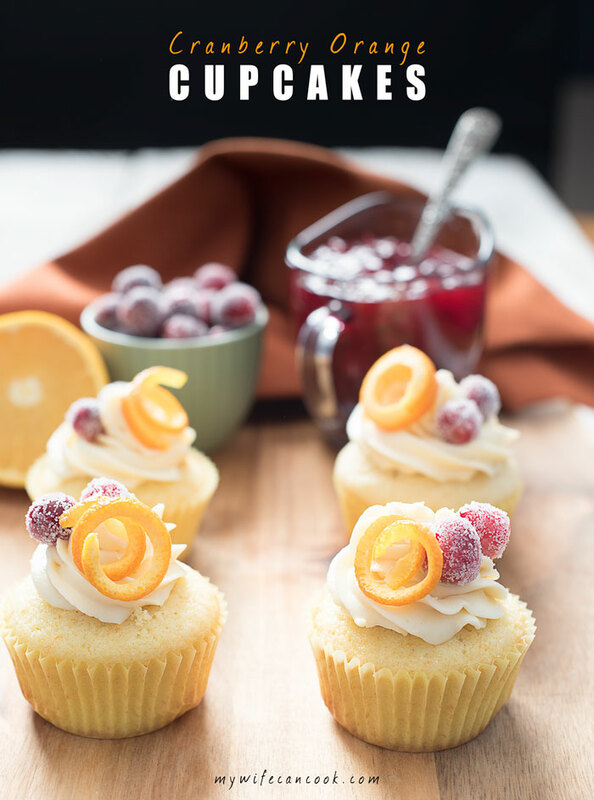 Drizzle top with fresh squeezed orange juice and sprinkle with cinnamon sugar and almond slices. Bake for 55-60 minutes. Springform pan may leak, so you may want to line the outside with foil or place on a cookie sheet or pan. Center should be firm and not jiggly and a inserted toothpick should come out clean. This Torte would be absolutely beautiful on a holiday dessert table! The cranberries and almonds are so pretty and I love the combination with orange and cinnamon. 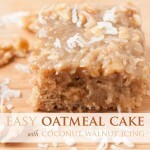 I would eat a slice of this for breakfast, too, with a cup of coffee. Lovely recipe! Thanks! 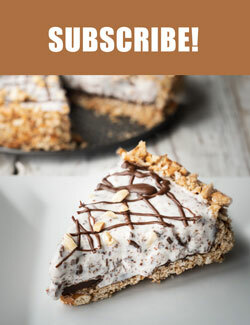 I think it would be perfect for holiday dessert or brunch!